Pramila Vasudevan is a professional dancer and founder of Aniccha Arts. She is also a teaching artist in residence at Pillsbury House + Theatre where she works with youth in the daycare center and summer and afterschool programs. 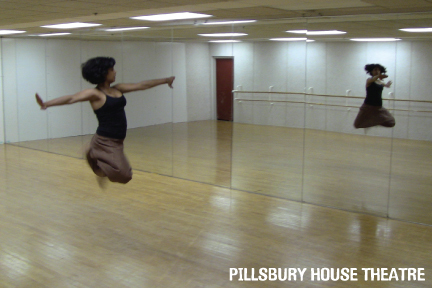 Most of her students have never been exposed to the forms of dance she practices. So, each day she asks herself: “How can I connect what I know with what they want do?” And each day brings discoveries about perspective, movement, and gesture as well as diversity, poverty, and power. Her sense of optimism, willingness to learn, and eagerness to share are values that permeate the Pillsbury House + Theatre building. “It’s a unique place to be,” she reports. Our resident artist program is supported in part by your generous support. Please consider a donation. Ten art/placemaking projects officially chosen to launch Arts on Chicago project.